Looking for light customization? Not finding what you need at Big Box stores? These light string cords can be purchased in various sizes, spacings, and the bulb color and finish combinations are as endless. This style of lighting is what professionals use to light everything from residential housetops to business establishments. 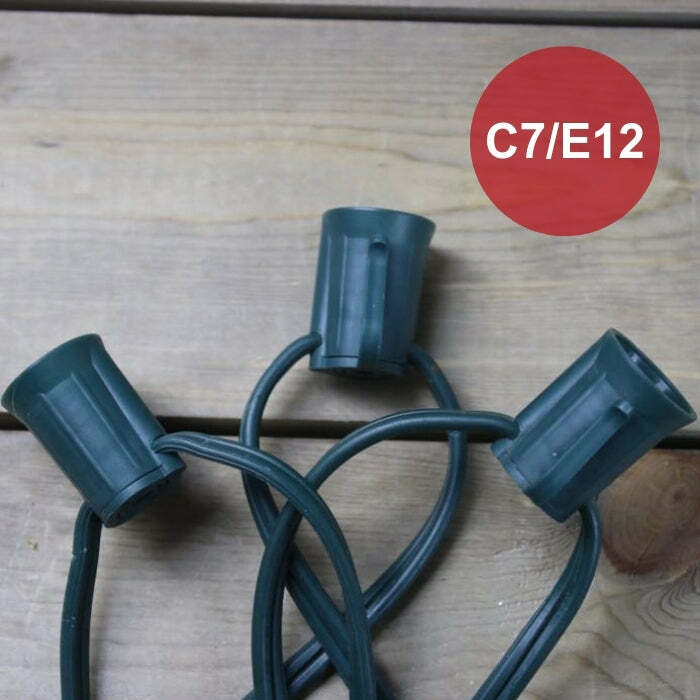 We carry a wide variety of bulbs in C7 Incandescent, C7 LED, G30, G40, and G50. You'll need 1500 bulbs to fill every socket in this cord. Cord must be cut to limitations based on light line burnout and your breaker ratings. We suggest that you purchase 10% overage for glass bulb installation. your neighbor who wants to win the "Griswold Award"